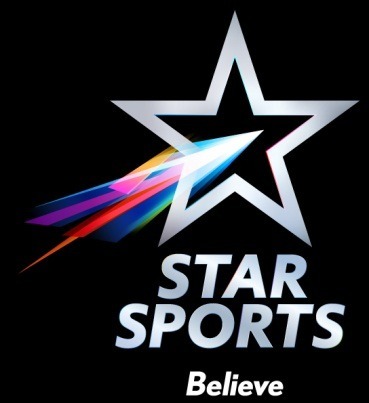 STAR, India’s premier media & entertainment company, today unveiled Star Sports Rebranding. Star Sports 1,2,3,4, HD1 and HD2 and starsports.com.The brand highlights Star Network’s ambition to change the face of sports broadcasting in India and provide world-class sports coverage to fans across the country. To signal the change to the consumer, STAR India is bringing all the 6 diverse TV channels under one brand “Star Sports” and one purpose “Believe”. Signalling the depth of its belief, STAR disclosed that it has made a commitment of more than Rs. 20,000 crores into the sports business. The investment is being used to fuel expansion of sports coverage in the country as well as in building exciting new leagues including the Indian Super League in football, the Hockey India League and the Indian Badminton League. The network will also showcase new non-live programming and new shows and formats, all of which will create more choice for the Indian sports fan. Post the brand refresh, the network will carry over 5,000 hours of premium live sports content, including around 200 days of live cricket in a year. The broadcaster also announced the launch of India’s first 24×7 Hindi sports channel – STAR Sports 3, with content, graphics and shows in Hindi – a giant step forward to dramatically increase the reach of sports in the country. In a nation where less than 10% of the population understands English and a much smaller number are native speakers, sports broadcasters have traditionally programmed only in one language – English. Star Sports has seen success in Hindi commentary with Hindi now accounting for 70% share of all viewership in the recently concluded CLT20 series. STAR is also launching a daily show ‘STAR POWER’ – a definitive destination for comprehensive updates, insight and analysis. Launching on November 6, the 30 minute show will be telecast twice a day at 8:00 pm and 10:30 pm on STAR Sports 3 all 7 days of the week. On the digital front, STAR India is aggressively reaching out to young, ardent sports fans who want to access sports across screens. The digital service offers a variety of sports including cricket, soccer and F1, in HD quality streaming. The service has received exceptionally positive consumer feedback for its revolutionary timeline (a first for cricket anywhere in the world) that gives the fan complete control of how he wants to view his favourite games, whether for live or catch-up. 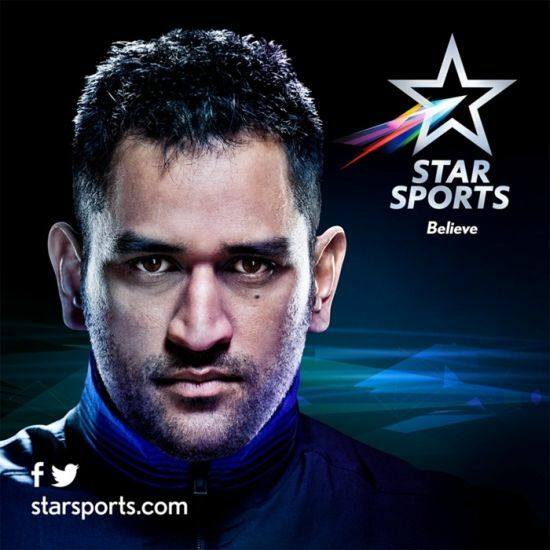 STAR Sports is launching the new network with an iconic campaign that urges India to “Believe”. The broadcaster has signed M.S Dhoni as its first ambassador. The campaign outlines the beliefs that have made M.S. Dhoni one of the most iconic heroes of our time. The campaign is supported on Star network and will be rolled out on November 6th when India will tune in to watch Sachin Tendulkar play the last series of his sports career. The new brand identity of the channels a metallic star with an explosive incandescent swoosh symbolizing the authority and passion of sports. It’s based on a press release via star network.